. إن Breakfree Cosmopolitan Apartment حريص على توفير الراحة للنزلاء، فلا يوفر الموظفون جهداً في تقديم أفضل الخدمات وضمان حسن الاستقبال. إن تسجيل وصول/خروج سريع, تخزين الأمتعة, واي فاي في المناطق العامة, صف السيارات, مرافق للشواء هي جزء فقط من الخدمات التي تميز Breakfree Cosmopolitan Apartment عن باقي الفنادق في المدينة. تتضمن كل غرف النزلاء وسائل الراحة والتسلية المصممة خصيصاً لضمان الراحة القصوى للضيوف. يمكنك الاستمتاع بالأجواء المريحة التي تقدمها حوض استحمام ساخن, مركز للياقة البدنية, ساونا, حمام سباحة خارجي, سبا طوال النهار. يشكل Breakfree Cosmopolitan Apartment بخدماته الراقية وموقعه الممتاز، قاعدة مثالية للاستمتاع بإقامتك في جولد كوست. Loved the location. But It was too noisy at night. I did read the reviews but thought because I’m staying during the week noise may not be an issue. Well it was an issue. So I’d only recommend this for young couples, or party goers. I loved the pool and spa. And the room was cosy. I’d stay again for a girls trip. Take ur own swim towel, as u need to pay to hire one. Very nice apartment with great location, near the tram and the beach. This accommodation suited us perfectly. The room was clean, spacious, with air con and comfortable beds! Laundy facilities in the apartment were a godsend. The resort had everything we needed and more we didn't get time to use. The pools were beautiful and well maintained. The staff were so helpful! The location is superb, everything is right at your doorstep! The noise that people complain of is actually not bad at all. If you're affected by the sounds of a city, bring some ear plugs. We will definitely recommend and definitely be back!! 1. Apartment unit is cozy & clean 2. Fully equipped with kitchenware, washing machine & dryer. 3. 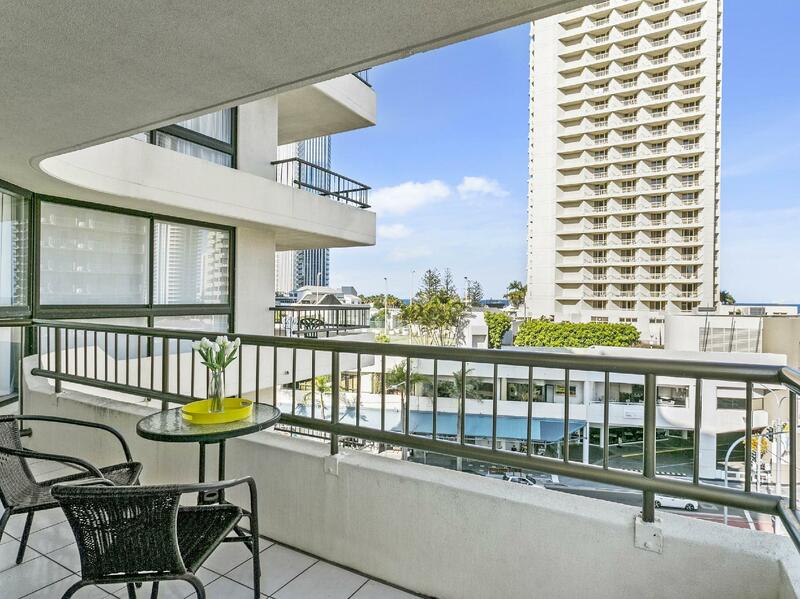 Great location - within walking distance to most of local attractions (i.e: Surfer Paradise Esplanade, Cavill Avenue, Skypoint Observation Tower, Coles & Woolworth, etc ) 4. 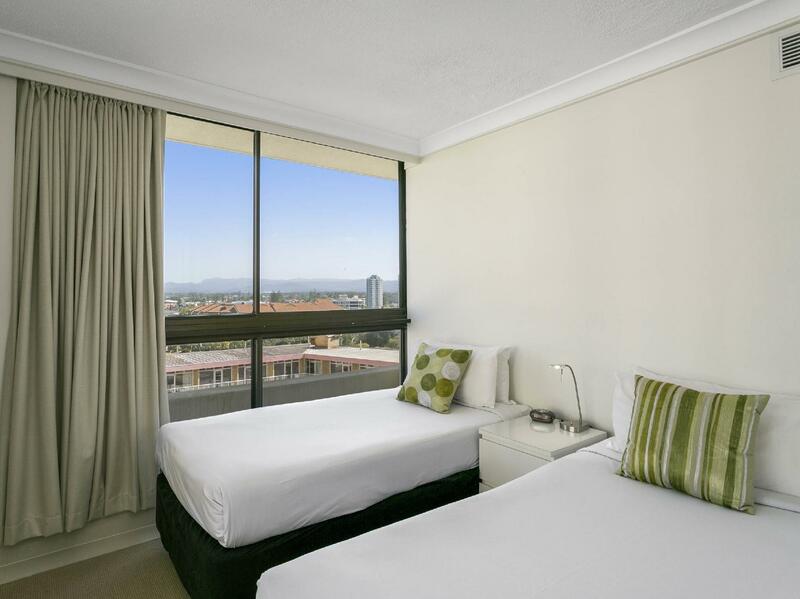 Nearest tram station - Cavill Avenue, approximately 50m from the premise. 5. Ease of getting 'Halal' food / produce within the area is a plus point for Muslim traveler. 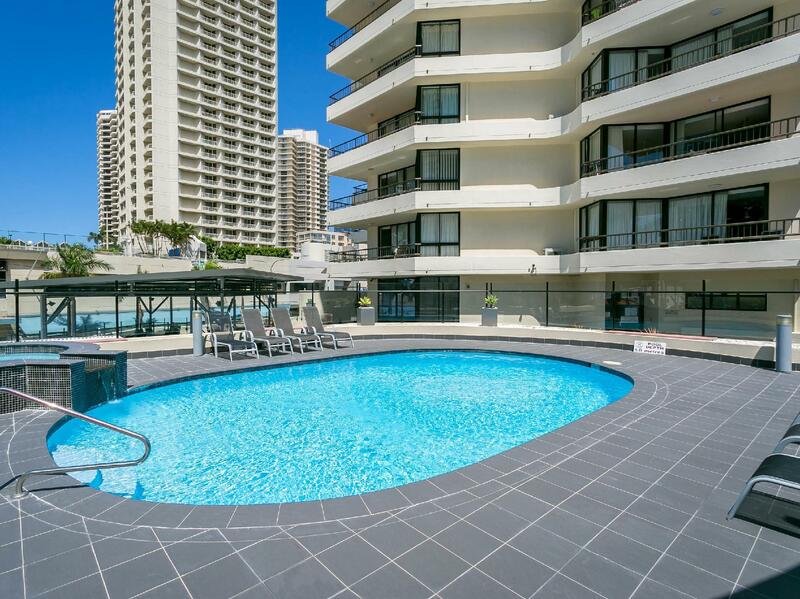 The location of the hotel is around the corner from Cavill Avenue so anything you may need and the beach are in walking distance! Staff were very friendly and accomodating, upgraded us to a bigger room and gave us an additional parking space free of charge. Extremely comfortable beds! The room was a little outdated and there was a strong smell of smoke in the hallway but otherwise great value for money. Great location. Room decor a bit tired but we didn't expect 5 star luxury. My room was on the 10th floor. Great view. Location was perfect. lotsa halal food arnd the hotel. recommended for muslim travellers. those with younger kids better request fot high floor as can be quite noisy during the weekends as pubs and clubs are opposite. but overall a wonderful stay! will come bck again! The receptionist was very helpful, facilities are well maintained and the location is very good ! its near to everything ! Highly recommended. Thanks Breakfree Cosmopolitan Apartment!!! we had an awesome holiday!!! 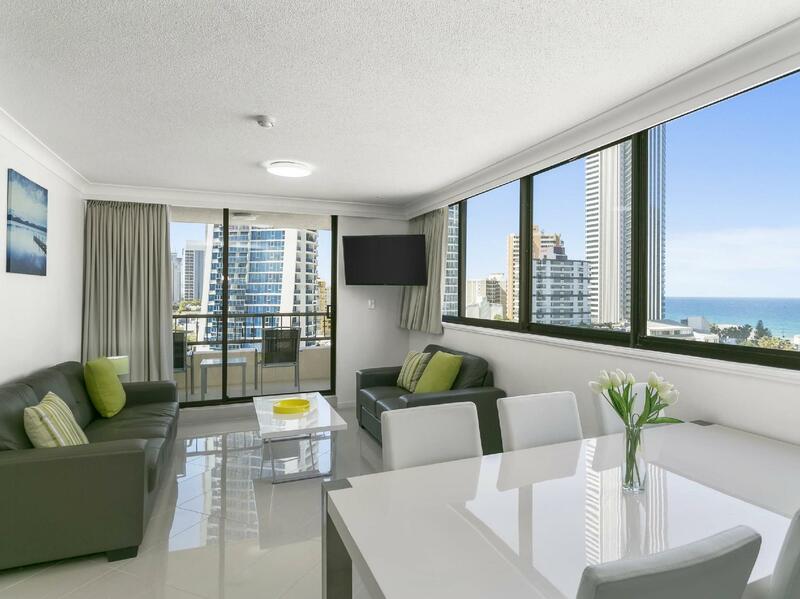 We love it because its in the centre of surfers paradise and there are plenty of restaurantsright accross the road. Nice staff, great location. Very old facilities, a Night club downstairs so Friday night and Saturday night are always noisy until very late. Power supply sometimes is not stable, no light for 2 days. No Wi Fi. Great location to trams and shopping. Walking distance to the beach. Apartment was fully furnished with a great view. Kitchen was well equipt for cooking. Generally perfect location. The noise from nearby bar or lounge is very annoying. It is suitable for shopping lovers but not quite lovers. We had great holidays at the Cosmopolitan. The only thing was the noise from bars the weekends.